Hi, welcome to Addcolo - a handmade human hair products company located in Qingdao, China for more than 10 years. We believe that everyone deserves to have the hair of their dreams. That’s why we’re here - integrating design, research and manufacture. Overall, we focus on Full Lace Wigs, Lace Front Wigs, U-Part Wigs, Hair Weaves, Hair Extensions & Pieces, Lace Closure & Frontal and custom-tailor. CHANGE YOUR HAIRSTYLE IN 1 SECOND!Your beautiful life needs more colors! 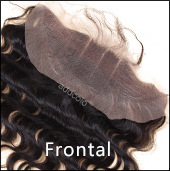 100% Human Hair that is silky, beautiful, tangle-free and thick from top to bottom. USA, Canada, EU, Australia, Asia - wherever you are, we've got you covered for free.